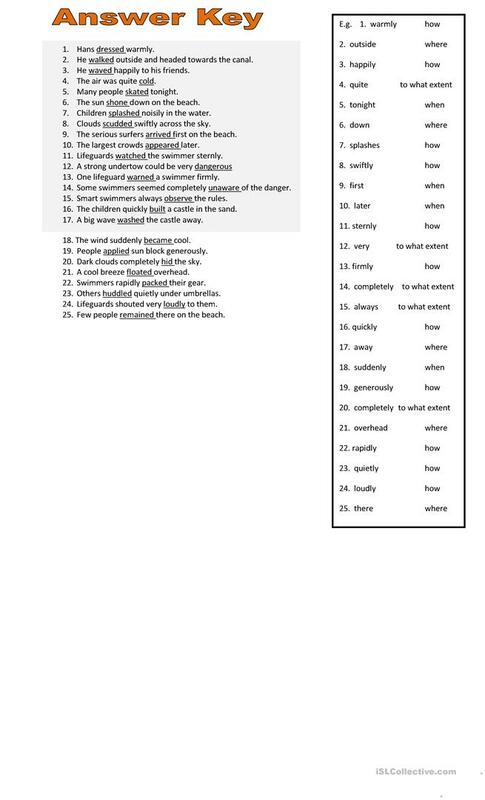 Students learn about the function of this part of speech. They complete practice exercise. The above downloadable worksheet is meant for elementary school students at Elementary (A1) level. 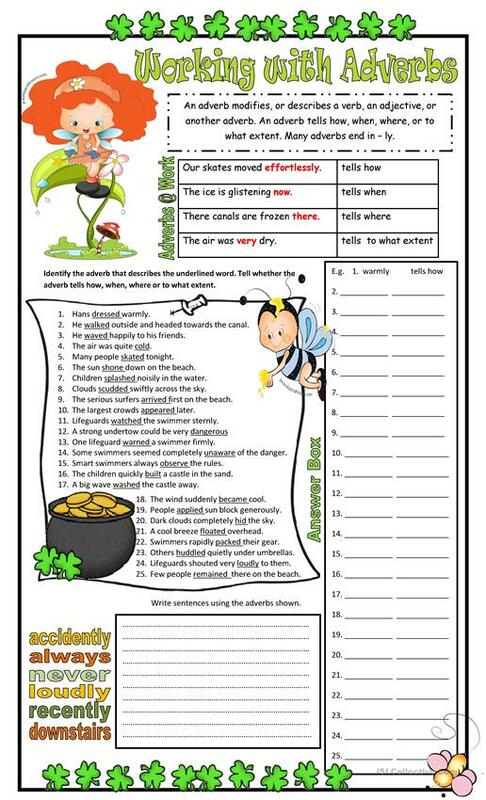 It is a useful material for teaching Adverbs in English, and was designed for developing your pupils' Reading and Writing skills. You will find the answers at the end of the worksheet.